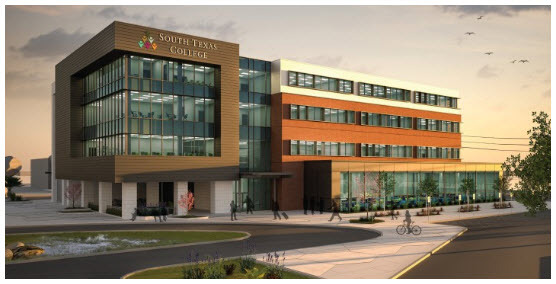 ​​​​McALLEN - South Texas College started construction of its $24 million expansion of the Dr. Ramiro B. Casso Nursing and Allied Health Campus. The new construction on land donated by the City of McAllen at McColl Rd. and Ridge Rd. will help accommodate new and expanded nursing and allied health training programs with a hospital simulation center and a new library. According to​ The Monitor newspaper​, the building will be 90,000 sf.